Includes 6 Dedication Dates in our calendar PLUS 6 event passes to 2 Shul events, so you can bring your friends (over a $500 value). Choose from the following events: Model Matzah Bakery, Chanukah Wonderland, Shabbaton, Purim dinner meal, or a Sukkot meal. celebrate life and support your Shul. Scroll down to the bottom to submit your greetings. Start the new year on a sweet note. Provide High Holiday seats at Chabad for the needy. Help us share the beautiful and fragrant commandments of Sukkot with hundreds of Jews from all different backgrounds. Two communal meals in the Chabad Sukkah and our Sukkah Mobile (up to 2 sponsors). 5 individuals will enjoy our 2 communal Sukkot meals (up to 12 sponsors). Make a donation that illuminates the Bronx with the miracle of Chanukah – as Jews celebrate freedom over oppression and hope over despair. Bronx children experience the miracle and sweetness of this holiday. Partner with Chabad and fulfill the four commandments of Purim on a communal as well as an individual level. Help us make sure that no Jew in the Bronx is left behind on Passover. For the Russian Jews of Kingsbridge. manufacturing Matzah (up to 2 sponsors). 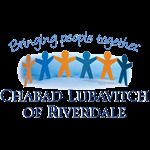 On Lag B'Omer, the Riverdale community unites with pride for its Lag B'Omer celebrations. On Shavuot, we renew our acceptance of the Torah and our commitment to Judaism. Our Shavuot programs invigorate and inspire the Jewish community. Our Shabbatons feature outstanding renowned speakers from across the globe, whose impact on our community continues far beyond the weekend. Celebrate your birthday, anniversary, the Yahrzeit of a family member or other occasion with a Kiddush lunch at the shul! Sponsoring a Kiddush is a beautiful way of celebrating your special occasion with the community. Submit your contact information below and we will contact you to finalize the details. Basic Kiddush: $375 - The Kiddush includes kugels, dips, crackers, etc. There is a universal camaraderie among women. Whether it's connecting spiritually, learning, or simply sharing Shabbat recipes, events organized by the Jewish Women's Circle give women from across Riverdale the chance to connect and be inspired. The event includes speaker / entertainment / music and refreshments (up to 2 sponsors). Learn to live and live to learn. Feed your soul each week with our thought-provoking and stimulating adult education programs. A Bar Mitzvah boy will receive six months of classes. Children represent our future; all of our hopes and aspirations are wrapped up in the next generation. A Jewish education instills students within a strong sense of identity, a profound connection to the community and the Jewish people, and a deep commitment to Judaism and its values. Thank you for helping us help them. Dedicate a day of learning in honor or memory of a loved one. Offer Jewish children in the Bronx a summer they won't forget! Dedicate a day of camp programs in honor or memory of a loved one. "He who saves one soul, it is as if he has saved the world." Social welfare represents the cornerstone of our approach. No sector of our community should feel excluded or unwanted in our community.